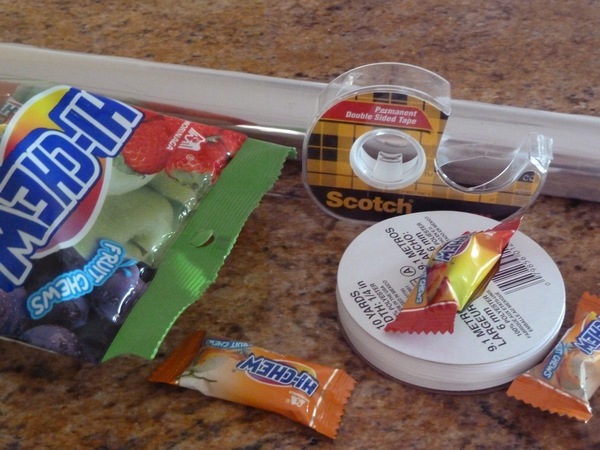 In Hawaii they sell cute, decorated plastic sleeves for making candy lei. Since I'm not in Hawaii (laments), I thought I'd make my own, not quite as cute version. 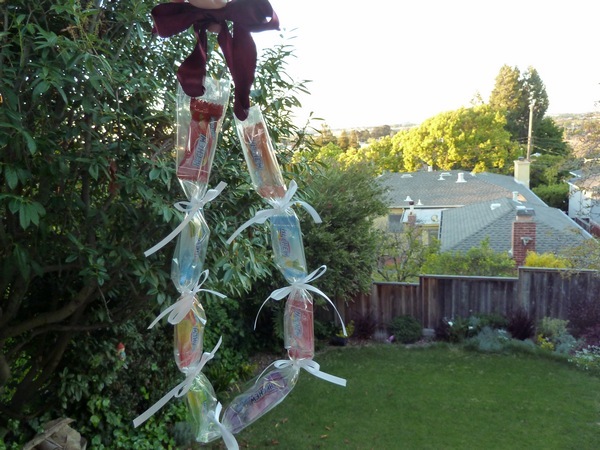 We've got at least three graduations to attend soon, so I've got a lot of lei-making to do! 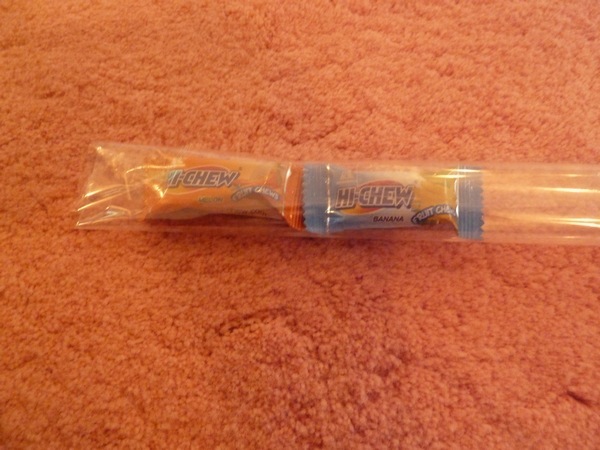 I bought a roll of clear cellophane from a party store, and a few bags of individually wrapped Hi-Chew. I figure, if I don't have cute printed sleeves, I might as well have awesome, tasty candy! 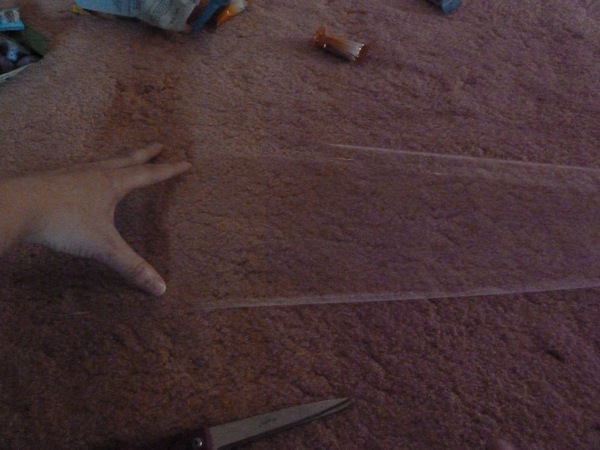 First, cut roughly a 4" strip of cellophane. The length is a standard wrapping paper size, about 2.5'. 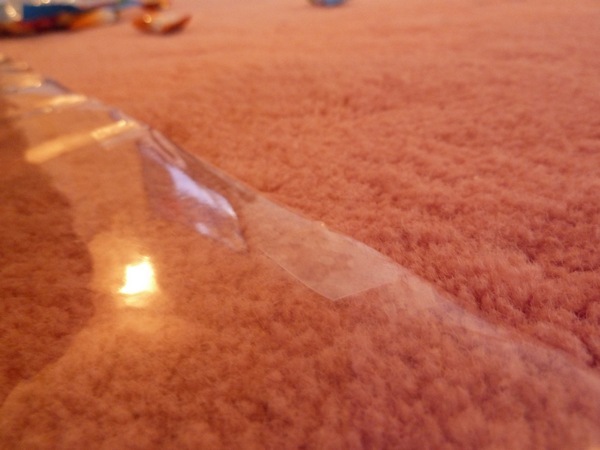 Add small strips of double stick tape to one edge, and roll the cellophane into a tube. 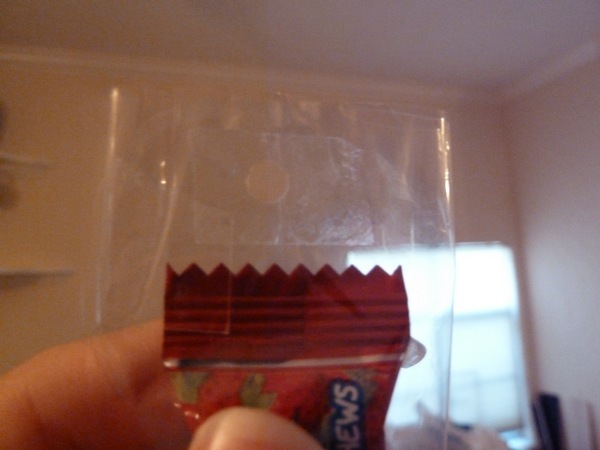 Close one end with another piece of tape, and add a couple candies. 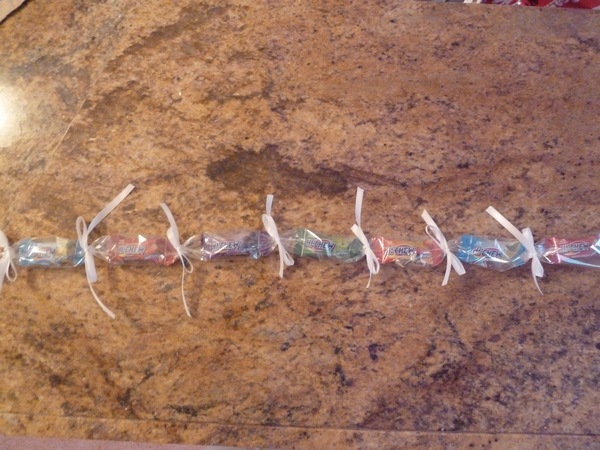 Use some ribbon to segment between each candy piece. 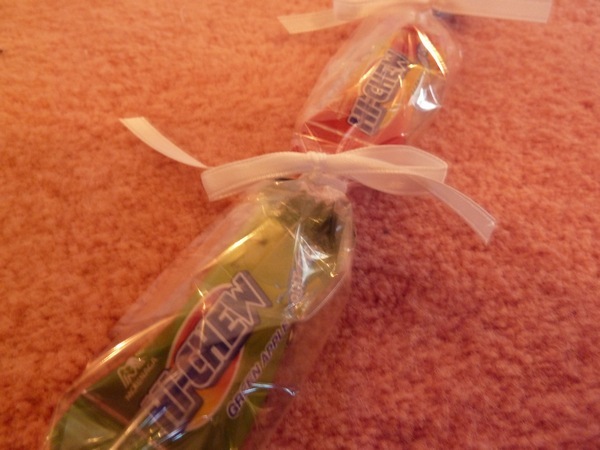 Plastic curling giftbag ribbon is standard, but I only had regular ribbon on hand. Continue until you fill up the whole tube! 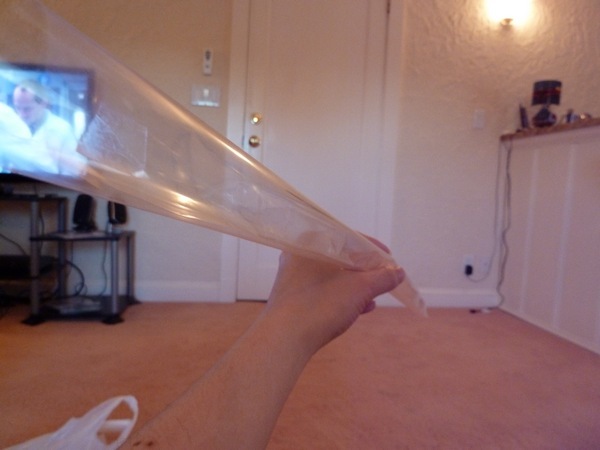 Tape up the end of the tube, and punch two holes so you can connect them with another piece of ribbon. 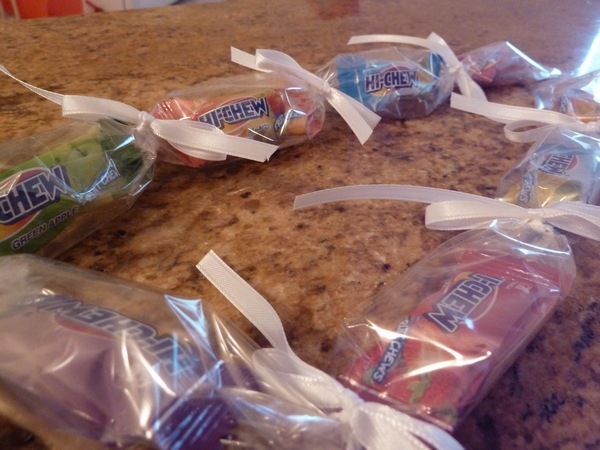 You can use any type of candy - I would have tried for school colored candies, but these particular ones are for a white and maroon school...Hi-Chew is just easier! how creative and cute! wish you had come to my graduation. eons ago. Yum! It's like a candy necklace x 1000 to the power of awesomeness! I love this idea - so cute...and yummy!! Thank you! 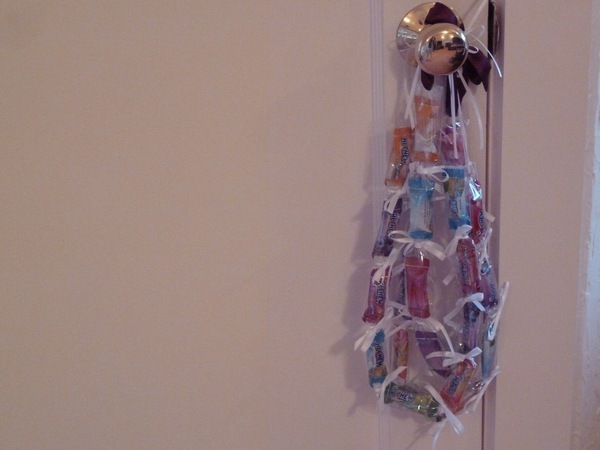 Been looking at candy lei tutorials and this is by far the easiest one I've found!